Rocco Gibaldi is an accomplished Senior Executive and Consultant with more than 45 years of success in the technology and financial services industries. Leveraging extensive experience in overseeing technology implementations, delivering effective project management, managing investments management systems and operations, and building cohesive and high-performing teams, he is an asset to any organizations seeking strategies for evaluating and developing internal talent, as well as, companies pursuing guidance in implementing tools and solutions. His broad areas of expertise include; project management, strategic planning, private banking, consulting, problem-solving, innovation, investment management, private banking, wealth management, family office services, alternative investments (such as hedge funds, private equity, real estate, etc. ), technology implementations, finance, operational technology, team building and leadership. Over the course of his executive career, Rocco has held leadership positions with organizations including Elite Technology Consulting, Metro Solutions Inc., Bankers Trust and UBS Asset Management and Private Banking. He is currently a Project Management Consultant. Rocco focuses his efforts on investment bank enterprise architecture and analyzes the goals, products, and services of an organization to outline appropriate application systems, procedures and operational processes. He is also involved in facilitating vendor selection processes and helps his clients utilize define metrics to identify vendors who align with their needs. He has been successful in developing ranking systems and allowing potential vendors to create mock solutions to actual client issues. Rocco can apply his accounting background, knowledge of trading and hedge funds, and experience with system integrations to enable development and drive success in diverse organizations. 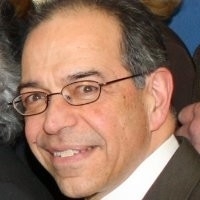 Rocco earned his Bachelor of Science in Math and Computer Science from St. John’s University and his Master of Science in Operations Research and Statistics from Rensselaer Polytechnic Institute. Rocco has garnered valuable experience in working with nonprofit organizations and has presented to numerous boards throughout his career. A Family Office provides a structure for managing the wealth and other important services used by ..